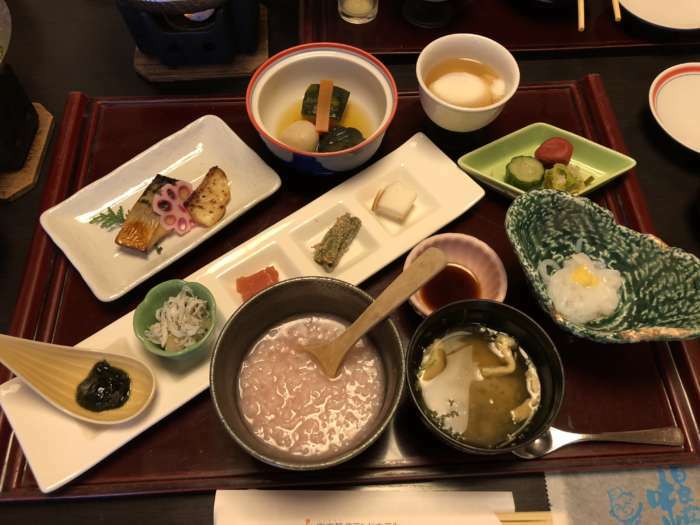 I always like to eat Japanese style breakfast at hotel! Small dishes a lot!!! Especially, I enjoyed different cooking style of vegetables  Pickled, simmered, steamed, Marinated, Tossed vegetables…Yummy! 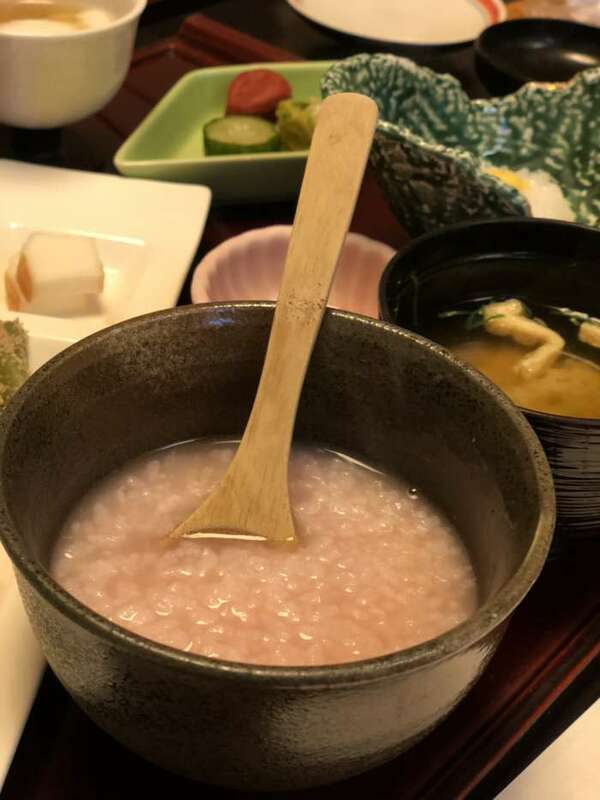  Since Wakayama prefecture is famous for plum, they serve plum flavor porridge!